C: Strict of control the Quality. every product pass through; Over-charge testing , Over-discharge testing, Over-heat testing, Over-current testing, Short-circuit testing, charging testing, discharging testing, temperature testing , Voltage precision testing, current precision testing, quiescent current, capacity circulatory testing. Batteries are tested with battery aging equipments and specially developed Laptop Battery testers. D. we have rich experience in export Li-ion batteries, usually do our best to help customer to save shipping cost by packing well with saving weight and volume. we usually use express, such as UPS,EMS,DHL,TNT and Fedex; we can arrange air-express and ocean shipping as your require too. E. we warranty one year quality for all the battery, We are a reliable supplier, who cooperate with many importer from all over the world,such as USA,,European countries,mid-east,southeastern Asia ect,and get theirtrust for our products quality and service. 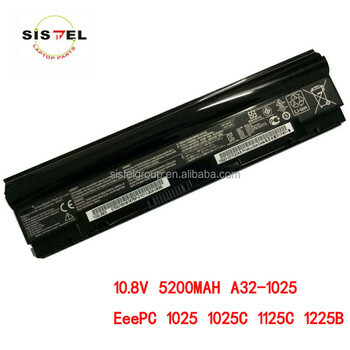 SISTEL is a wholsale for laptop batteries for many years. We have many professional testing machines. Our products are compatible with most major brands, including for Acer,for Apple, for Asus, for Benq, for Compaq, for Dell, for Gateway, for HP, for Toshiba, for Lenovo (IBM), for Fujitsu, for Sony, for Panasonic, for Samsung, for Clevo, for Mitac, for Uniwill, for FIC, for ECS, for Hitach and for NEC, ect. SISTEL wins customers’ long-term trust by stable quality and really competitive price. How To take care your laptop battery? When using a laptop as a desktop replacement the battery should not be left in for long periods of time. The laptop will over time discharge the battery. Remove the battery,making sure that it is charged to 50% and store it in a dry, warm place. Ensure that it is wrapped protectively and nothing will be dropped on it. The battery should be re-installed every 3-4 weeks and allowed to fully discharge. Leaving a battery in storage for longer than this without using could cause the battery to fully discharge as the circuitry of the battery itself consumes power. Leaving a battery in a laptop while using an electrical outlet for long periods of time will keep the battery in a constant state of charging up and that will reduce the life cycle of the laptop battery.